You love being a bartender. But people keep telling you to quit and "get a real job." Whatever that means! That doesn't sound like it's going to work for you and you can’t figure out why. 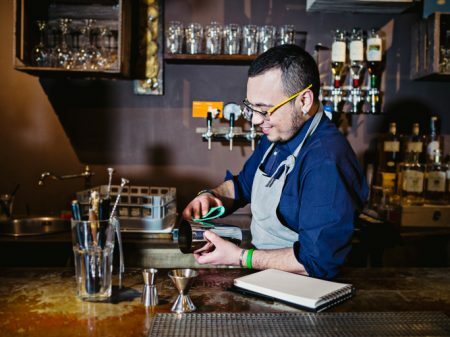 Here are 5 reasons why it's hard to work a traditional job after bartending. Let's face it, being a bartender makes you feel like Batman leaving to fight crime for another night. After skillfully serving drinks into the wee hours of the morning, somehow waking up at 6 a.m. to sit at a desk for 8 hours just doesn't sound like a good deal. When you bartend, the social interactions with your coworkers and the bar patrons make your shift just fly by. So it doesn't feel like hard work, although it can be at times. You also get the luxury of going home to crash after having made your money while everyone else was sleeping. How great is that? How many jobs really let you meet all kinds of interesting people day after day? And if they tip well, they're pretty hard to come by. 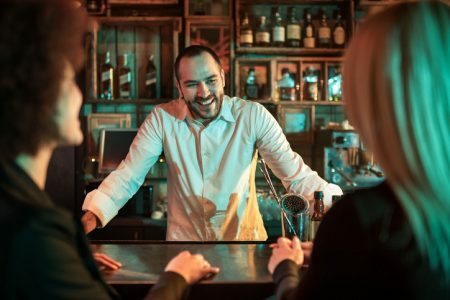 If the reason why you bartend is because you love meeting new people, you'll find it really hard to return to a traditional job where the only social interaction you’ll get is gossiping around the watercooler about who’s going to get fired next. Tips aren't only for strippers! Bartenders can make a whole lot of cash in a night too. Isn't it great to get a cash windfall in tips after a busy night at the bar? Unfortunately, that 5% raise that traditional jobs pay after a year on the job simply doesn’t give you the euphoria you're looking for. 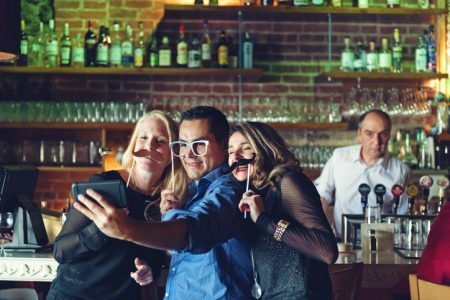 As a bartender, you use social media and other technologies to help you stay connected to what is going on in your local drinking scene and attract more patrons to your bar. At a traditional job, you'd probably literally feel like your arm is being ripped off as your boss confiscates your phone from too much Facebook surfing. Worse, you'd probably get fired for posting anything on your social media profiles that shows that you actually like to have fun at work. Oh gosh, the horror of it all! Rumor has it that if you don't have a degree in science, technology, engineering, or mathematics, you'll be banished to minimum wage hell for the rest of your life. In fact, some people who do have these degrees don't even have a job! 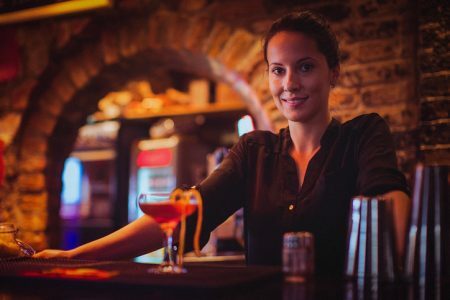 If bartending is already helping you to live without a traditional job, why not stick with it? After all, this isn't your parent's economy!